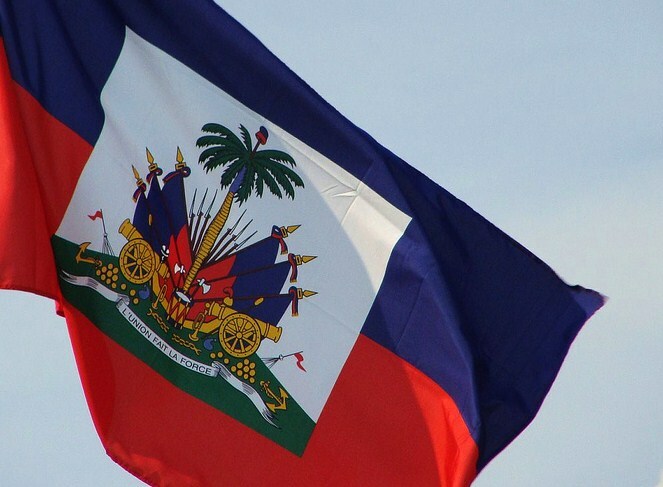 After more than a century sailing along as an independent black nation, Haiti collided with the Monroe Doctrine in the form of the National City Bank of New York. Together with the United States State Department, Citibank pressured Haiti’s government to sell it 40 percent of the Banque National d’Haïti (BNH): Haiti’s treasury. Thus the US acquired a financial interest in Haiti’s $32 million public debt and the pretext for an invasion. 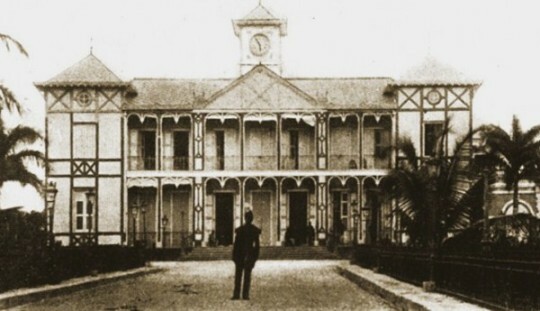 The architect behind the US scheme to control Haiti’s treasury was wealthy American kingmaker and Woodrow Wilson personal friend Roger Farnham, who became the BNH’s vice president after the takeover. Mr. Farnham was also Citibank’s vice president and president of the National Railway of Haiti: two companies that had swindled Haiti out of more $5 million for a national railroad that was never completed. Citibank and W.R. Grace had financed the project, which the Haitian government had guaranteed at an interest of six percent on $32,500 per mile. When the Haitian government balked at continuing to support the railroad project, Farnham determined to get Haiti into a customs receivership. He alternately threatened the country’s politicians with a direct US intervention or personal punishments, like withholding of their salaries. Haiti’s lawmakers refused to pay. Six different presidents between 1908-1915 (a politically tumultuous period) also refused to allow the US to collect customs duties to pay the debt owed to Citibank, despite threats that the US would not recognize their administrations. In 1914, Farnham whisked away to New York, aboard the USS Machias, two strongboxes with roughly 24,000 ounces of Haiti’s gold, valued at $40 million today, and he deposited them into the Citibank vaults. This theft of hard currency rendered Haiti completely dependent on the US for its operating budget. 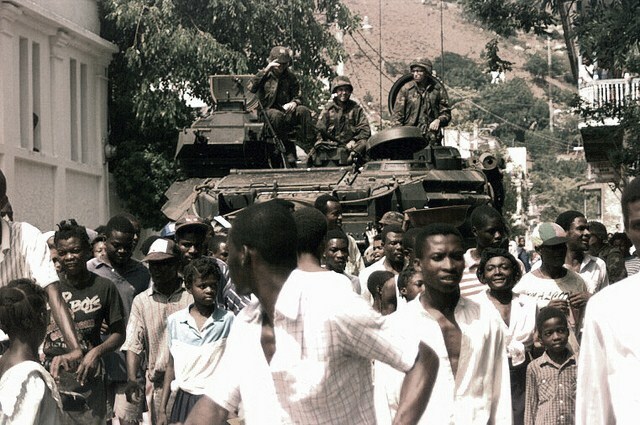 Protests by the Haitian government were to no avail. Farnham did not stop there. With the outbreak of World War I, he changed his rhetoric to a call for neutralization of the “threat” posed to the US by Haiti’s French and Germans residents: in reality a small group of well-assimilated business people. Such ideas persist today in the narrative about the first US occupation of Haiti because they have so often been repeated. By contrast, there is scant mention of the US invasions, not only Haiti, but also of Nicaragua, Mexico, Cuba, and Panama during Wilson’s 1912-1920 presidency. 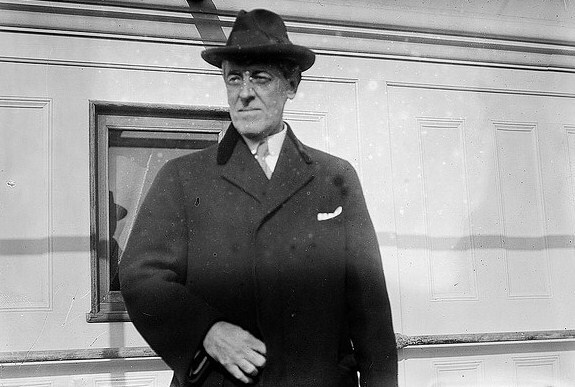 Mr. Wilson would go on to receive the Nobel Peace Prize in 1920 for his pacifism during WWI, despite his declaration of war on Germany in April 1917 and pressures on Haiti to join the US in this war declaration. Again, the Haitian government had refused. Allow the appointment of a US High Commissioner of Haiti (General John H. Russell) to run the country alongside the Haitian President. Create a financial advisers’ office, plus public works and public health services headed by Wilson-designated US nationals. Permit customs receivership for 20 years, with Roger Farnham as the receiver for the National Railroad of Haiti. 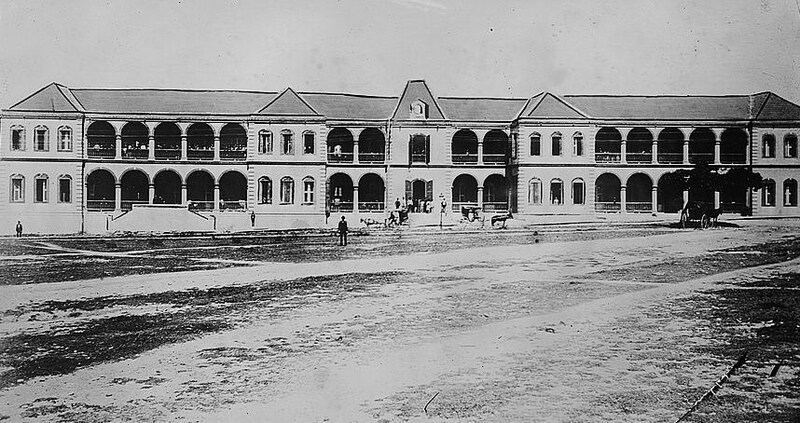 Thus Farnham took over all of Haiti’s railway system and territorial concessions. Not transfer Haitian territory to any country other than the US. Disband Haiti’s army and create the Gendarmerie d’Haiti (later, the Forces Armees d’Haiti, FAd’H): a US-led force of 3,000 Haitian men who would answer to the US Secretary of State. Today the US plan for Haiti is unchanged. It is still justified by the notion that Blacks cannot govern themselves but couched in inoffensive expressions like “humanitarian aid” and “peacekeeping force.” Former US President Bill Clinton has assumed the role of US High Commissioner of Haiti, and Michel Martelly is the new Sudre Dartiguenave. Haiti’s control of its finances, public works, and public health services has effectively been removed from the hands of its nationals and transferred to non-governmental organizations (NGO) of largely US-origin, under the aegis of USAID. All of the country’s mayors have been dismissed so that its territory might be more easily transferred, under control of the US, to multinational corporations for gold mining, road works, hydroelectricity, tourism, and other projects. 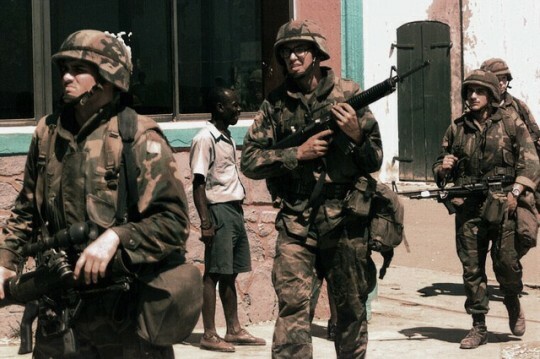 Although the US Marines did kill numerous Fanmi Lavalas partisans in the aftermath of the 2004 coup against President Jean-Bertrand Aristide, the occupying military force is no longer the Marines but a US-controlled UN force that is gradually being replaced by US mercenaries and a renewed FAd’H. Will Haiti relinquish its sovereignty without a fight this time? The story of Haitian resistance to the first US occupation is hardly ever told, but as early as Summer 1915, well before Haiti’s politicians had capitulated to the US, a new Haitian revolution had started. 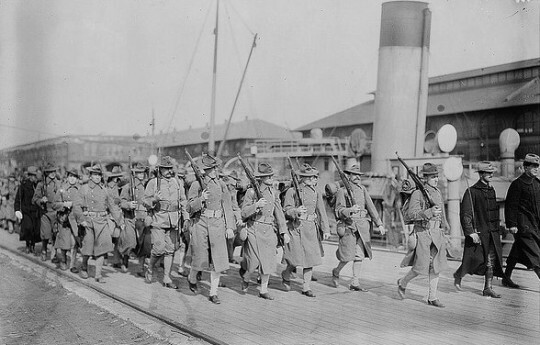 It began on Monday, August 30, 1915, when a group of US marines went to the District of Leogane to try to collect Military Commander Charlemagne Peralte’s weapons and national flag. Compare these two statements, one Haiti, one Iraq, and a pattern of US imperialism and theft emerges. What kind of a distorted world do we live in? Thanks for such an enlightened article Dady Chery. I can’t wait for part 2. Thank you for the comparison, John. Quite enlightening.